Already amongst the world's best-rated and most popular line of headphones for drummers, Metrophones have recently been upgraded with black, GFC "Ultra-Comfort" gel-filled cushions. The new cushions provide increased comfort and isolation which is why, coupled with their reference-quality speaker systems, Metrophones are becoming an essential part of many modern drummer's kit. The multipurpose Studio Kans Headphones with Gel-Filled Cushions reduce ambient noise by 29 decibels to provide isolation from ambient noise as well as hearing protection. 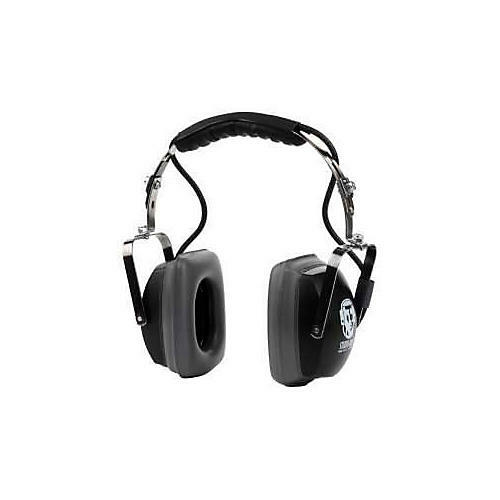 They feature a studio-quality frequency response of 15 - 25kHz along with a 1/4" stereo line-in jack, 2.5mm "click" line-out mini-jack and extra-long (9-foot), replaceable stereo cord.